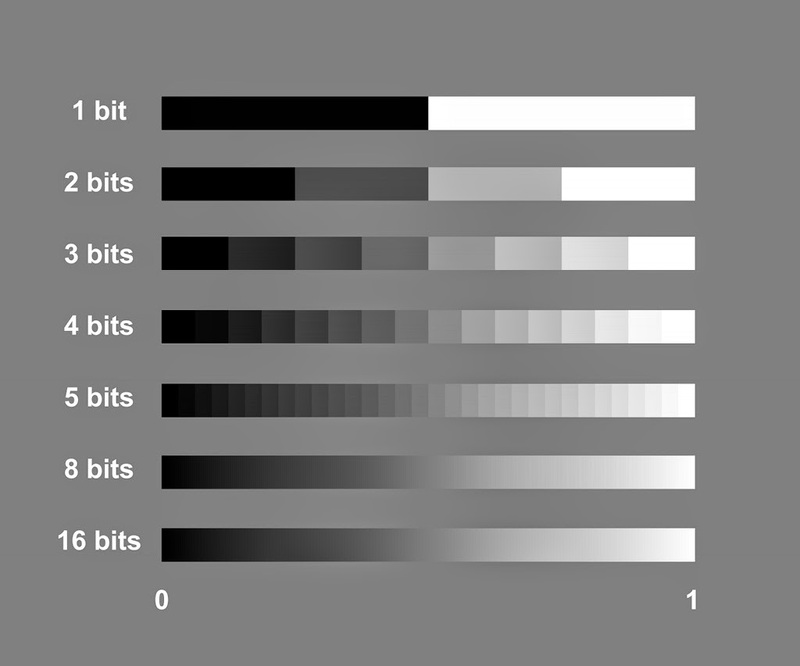 Last time we have been talking about encoding color information in pixels with numbers from a zero-to-one range, where 0 stands for black, 1 for white and numbers in between represent corresponding shades of gray. (RGB model uses 3 numbers like that for storing the brightness of each Red, Green and Blue components and representing a wide range of colors through mixing them). This time let's address the precision of such a representation, which is defined by a number of bits dedicated in a particular file format to describing that 0-1 range, or a bit-depth of a raster image.